Meet with the group at the hotel in Madrid. Free day. In the evening we take an avant-garde tapas tour around the Retiro neighbourhood as an introduction to the city and the excellent Spanish cuisine. Accommodation. Breakfast. In the morning we depart for San Sebastián. On the way we will make a stop with free time to have lunch and stroll through Burgos, a city that has retained important remnants of its medieval splendour and boasts one of the best Spanish Gothic buildings, its Cathedral, declared a World Heritage Site. We continue the journey to San Sebastián. Arrival and free time to stroll around and discover this beautiful city and its famous Playa de la Concha beach. 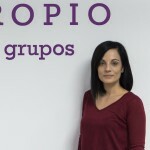 In the evening we will enjoy a stroll and dinner in the centre of the city, experiencing what is known as "pintxo pote", typical of San Sebastián, which consists of visiting several bars trying different pintxo snacks. This allows us to appreciate the excellent gastronomy for which the city is famous. ​​Accommodation. Breakfast. Today we will visit the beautiful coastal towns of the South of France, such as Saint-Jean-de-Luz, nestled in a beautiful bay in the Bay of Biscay, Biarritz, a beautiful city that evolved from a whaling port to a spa town and rest place for the European aristocracy during the nineteenth and early twentieth century and Ondarribia, where we can enjoy its old town, full of beautiful colourful balconies. Return to San Sebastián and rest of the day free. Accommodation. Breakfast. Today we will spend the day visiting the most important villages along the Basque coast. The first is Zarautz, which has the longest beach in Guipúzcoa that forms a backdrop to the charming, lively fishing village. 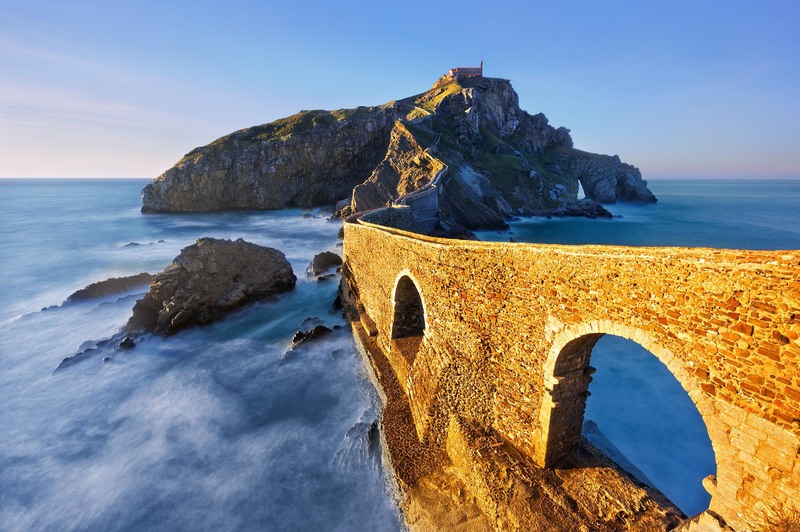 Guetaria, the birthplace of Juan Sebastian Elkano, the first sailor to circumnavigate the world, will seduce us with its excellent gastronomy and here we will have free time for lunch (we recommend the grilled fish accompanied by the famous Txakoli wine of Getaria). We will also visit Mundaka, located in the Urdaibai Biosphere Reserve, claiming to be home to one of the longest left waves in the world, which makes the location a famous surfing destination, and Bermeo, one of the most important fishing villages in the region and famous for its proximity to the impressively beautiful 10th century Hermitage of San Juan de Gaztelugatxe. Return to Bilbao and rest of the day free. Accommodation. Breakfast. In the morning we have a panoramic tour of the city of Bilbao, its modern area, visiting the Guggenheim Museum (outside), the Isozaki towers, the Zubizuri footbridge and the Euskalduna palace. The tour will then continue to explore the origins of the town through the 7 famous streets. Strolling through them, we will discover monuments and characters such as Don Diego López de Haro, Don Miguel de Unamuno, Santiago Cathedral, Yohn Palace, the Arriaga Theatre, etc. Free afternoon. In the evening we will enjoy dinner in a traditional Basque grill. Accommodation. Breakfast. In the morning we depart for Santander. On the way we will stop in Portugalete to see its famous iron bridge. We continue our tour to Castro Urdiales where we find the best Gothic church in Cantabria and a medieval castle that dominates the port. We continue to Santillana de Mar, a beautiful medieval village developed around the Collegiate of Santa María. Several defensive towers and renaissance palaces make the city one of the most important historical sites in Cantabria. We will have free time to stroll around the city and then continue to Santander. Arrival and panoramic tour of the gardens of Pereda, the Cathedral, the Mercado de la Esperanza market, the Town Hall, Iglesia de la Compañía church, the Plaza Porticada, the Mercado del Este market and Plaza Pombo square, among others. Accommodation. Breakfast. In the morning we depart for the Picos de Europa National Park where we can enjoy the beautiful countryside that the Cantabrian Mountains offer us. 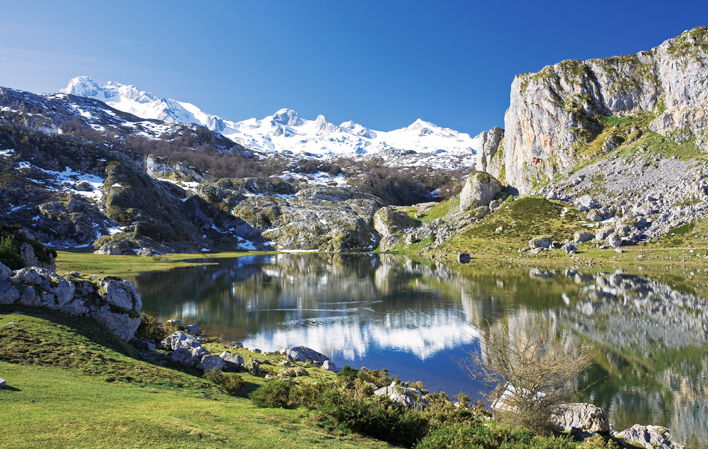 We will stop in Covadonga to visit the lakes and the Sanctuary of the Santa Cueva, dug out of the rock above a waterfall, where the patron saint of Asturias has resided for more than 1,300 years. 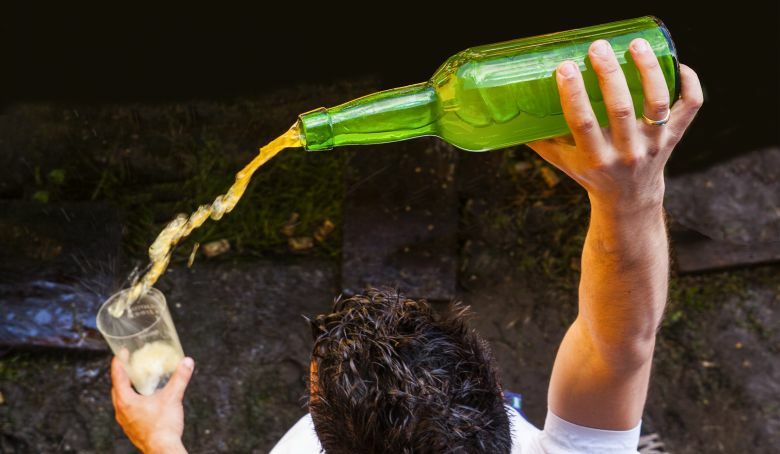 We continue to Cangas de Onís where we will visit the famous Roman bridge and enjoy a traditional lunch with tasting of Asturian cider and Cabrales cheese, produced in the area. Continuation to Oviedo. Arrival and free time to take a stroll around the capital of Asturias. Accommodation. Breakfast. In the morning we depart for Gijón. Arrival and panoramic tour of the city visiting the bay of Gijón, the marina, San Lorenzo beach, the historic centre, the Universidad Laboral de Gijón, etc. Free time to have lunch and stroll through this unique city. We continue the journey to Avilés. The streets and buildings of Avilés old town (one of the most important in the north of Spain) have been declared a Historical Artistic Site. We continue to Ribadeo, considered the entry point to Galicia along the Way of St. James in the north, take a short walk around the city and then continue to Sarriá where we will rest so that we can start the first stage of the walk along the Way the following day. Dinner Accommodation. Breakfast and we start the 1st stage of the Way, emblematic for its beautiful countryside and for marking km 100 of this ancient route. We will come across traditional villages and numerous water courses of great beauty, as well as some of its famous trails and woodland areas of chestnuts and oaks. During the stage we can admire, among other monuments, the Romanesque Church of Barbadelos, the Romanesque Church of Ferreiros, the Belesar Reservoir (Portomarín) and the San Nicolas Fortress-Church built by the knights of the Order of Saint John to protect the pilgrims. Arrival in Portomarín. End of the stage. Dinner. Accommodation. Breakfast. We start the walk crossing the Belesar Reservoir by pedestrian bridge. At the start there is a gentle ascent which concludes in the vicinity of Ligonde. This stage largely runs along paths, close to the road, or in some cases on asphalted areas. 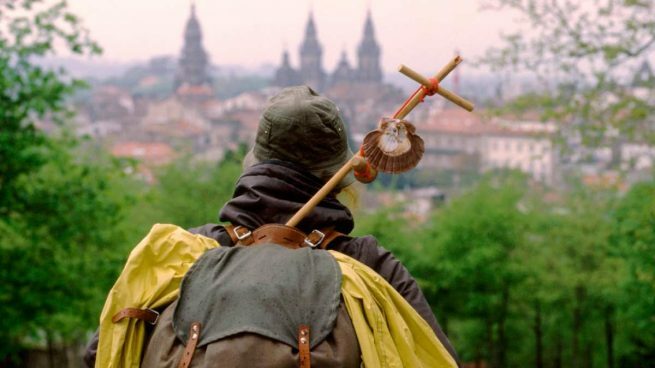 We will find several signs to indicate that we are on a ​​pilgrimage to Santiago de Compostela, such as the famous crosses. We can highlight the Cruceiro de Lameiros cross. Arrival in Palas de Rei. End of the stage. Dinner. Accommodation. Breakfast. We start this stage in the province of La Coruña where we will find woodland areas of eucalyptus and pine trees as well as numerous medieval bridges such as those of Leboreiro and Furelos, one of the idyllic parts of the walk, found in Ribadiso de Baixo close to Arzúa. For lovers of good food, Melide, famous for its octopus, is an essential stop for pilgrims and Arzúa gives its name to the designation of origin of its famous cheeses. The most interesting places that we will find include: Church of Santa María de Leboreiro, Church of Santiago in Boente, with a beautiful carving of Santiago Pilgrim, Church of Santa Maria de Melide, Museum of Melide, Bridge of Ribadiso do Baixo and the Church of Santiago in Arzúa. Arrival in Arzúa. End of the stage. Dinner. Accommodation. Breakfast. This stage is on pleasant terrain that provides easy walking conditions, between woodland areas and with gentle slopes, alternated with areas close to the road which we will have to cross at times. It ends in Pedrouzo. End of the stage. Dinner. Accommodation. Breakfast and start of the stage. Finally, Santiago! The long-awaited finish line is only half a day away. As soon as we leave Pedrouzo, we will realise that the Way is nearly over and unwittingly our mood and spirit will soar with the excitement of the main event. There is no longer anything that the land can do to prevent us from achieving our goal. The happy walker discovers a city of stones darkened through the passage of time and persistent rain. Old streets with an aroma of wine and octopus are scattered throughout the old town. The cathedral represents the culmination of the Way and there rests the apostle, the reason why year after year hundreds of thousands of people go on a journey full of experiences that will create memories to last a lifetime. When we arrive in Santiago, we can obtain our “Compostela” certificate. Congratulations pilgrim. Now “your true way” will probably begin. Dinner. Accommodation. Breakfast. In the morning we will take a guided tour of this city visited by countless pilgrims since the Middle Ages. We enter the cathedral to see the tomb of the Apostle. At midday we will be able to attend mass in the cathedral where our group will be named during the homily. Free afternoon. 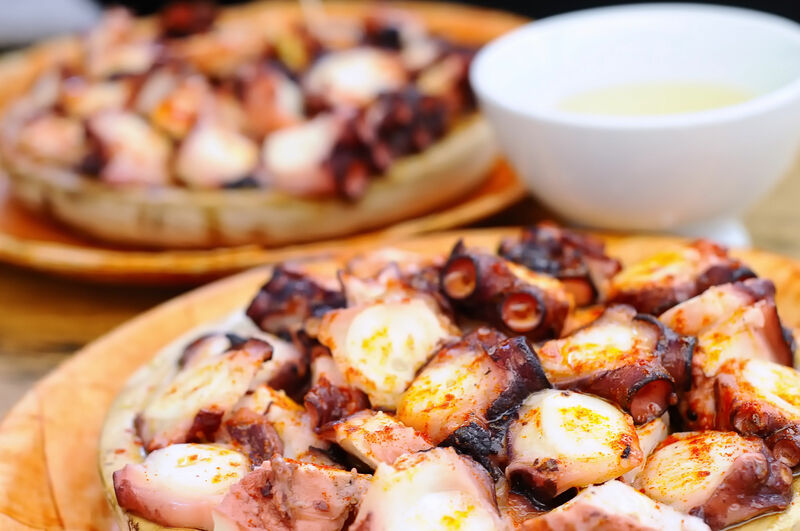 In the evening we have a special farewell dinner where we can try Pulpo a Feira (octopus), one of the most typical dishes from Galician gastronomy. Accommodation.